Welcome to Double Glazing Solutions, Working to find the right solution for you! Double Glazing Solutions is a leading double glazing specialist in west London with many years experience in the double glazing industry. We specialize in quality, affordable and reliable double glazing solutions for your home or office. We supply and install premium quality double glazed UPVC and Aluminum Windows, Doors, Porches, Conservatories and Roofline products. We also appreciate that new windows is not always the best option and also offer a repair service replacing faulty locks, hinges and mechanisms and replacing broken or misted sealed units. Double glazed replacement windows are the perfect way to give your home a smart new look, we specialize in offering high quality products in a wide range of styles to suit every home. 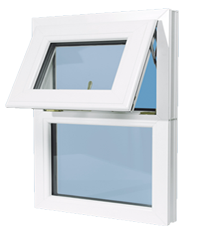 WhatÂ’s more, all our double glazing products are designed to give you the maximum benefits for many years to come. A porch can add vital extra space and weather protection, not just at the front of your home, but to any exterior door, we make bespoke PVCu porches to the same high standards as our windows and doors to give you a welcoming entrance thatÂ’s sure to add value to your home. More than any other home improvement, our conservatory can be a truly life-enhancing addition to your home. As well as adding value to your property, it allows you to extend your home into the garden, giving a feeling of light and space and making every summer last longer.